2070. Our world has changed. The rising level of the ocean has harmed the coastal cities and climate change has made large stretches of land inhospitable. 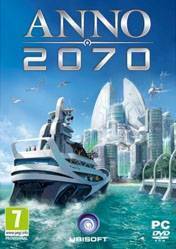 The latest in the award-winning strategy series, Anno 2070™ offers a new world full of challenges, where you will need to master resources, diplomacy, and trade in the most comprehensive economic management system in the Anno series.2070. Our world has changed. The rising level of the ocean has harmed the coastal cities and climate change has made large stretches of land inhospitable. the numbers of the years (1701,2070,1404 etc) always sum to the number nine! Its better then Sims :D I Like it! Looks very interesting, might try it out! Cool city-building sim with strategy elements, very fun to play.